When we design and build furniture at Thos. 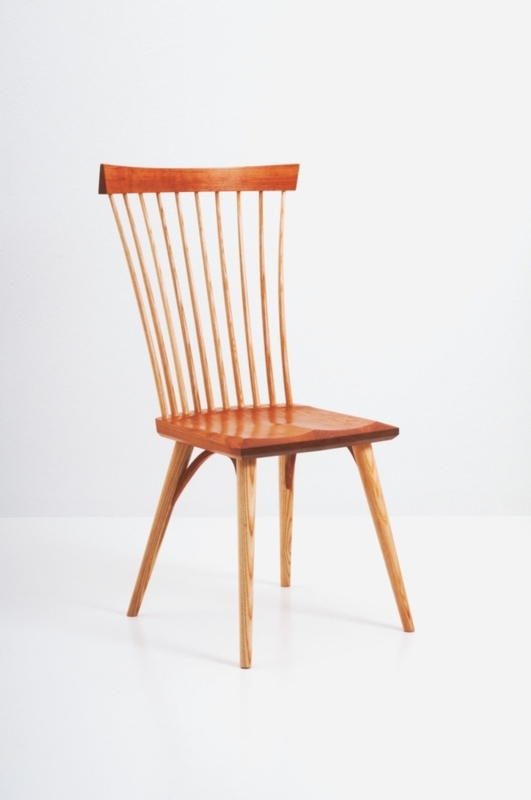 Moser, we subscribe to the philosophy that there should be no function without beauty – and no beauty without function. 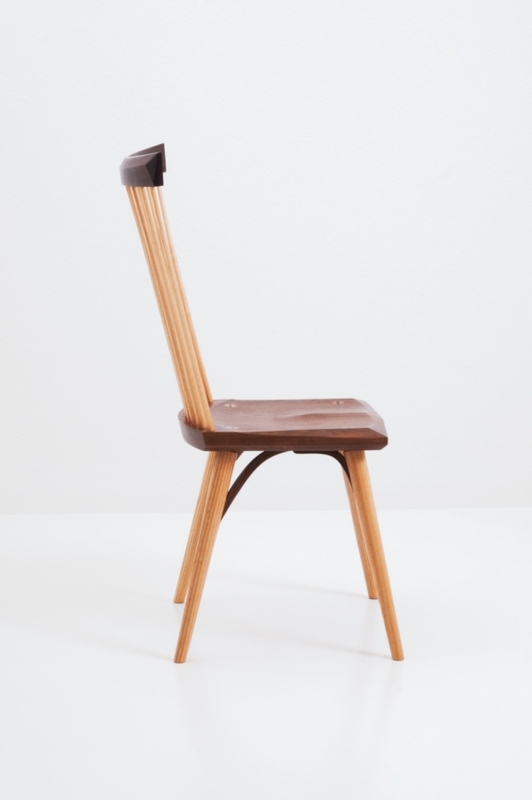 In every way, the Eastward Chair satisfies this standard, finding an abundance of beauty in purposeful utility. 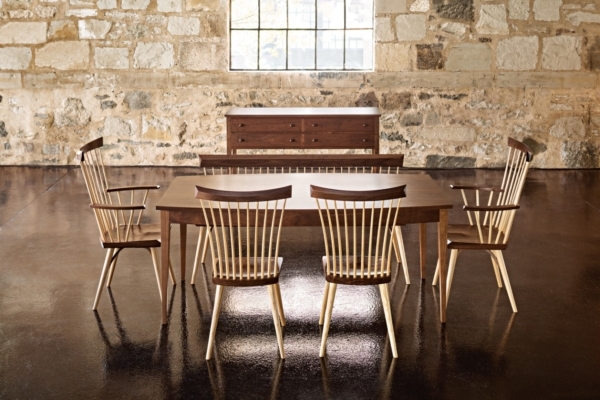 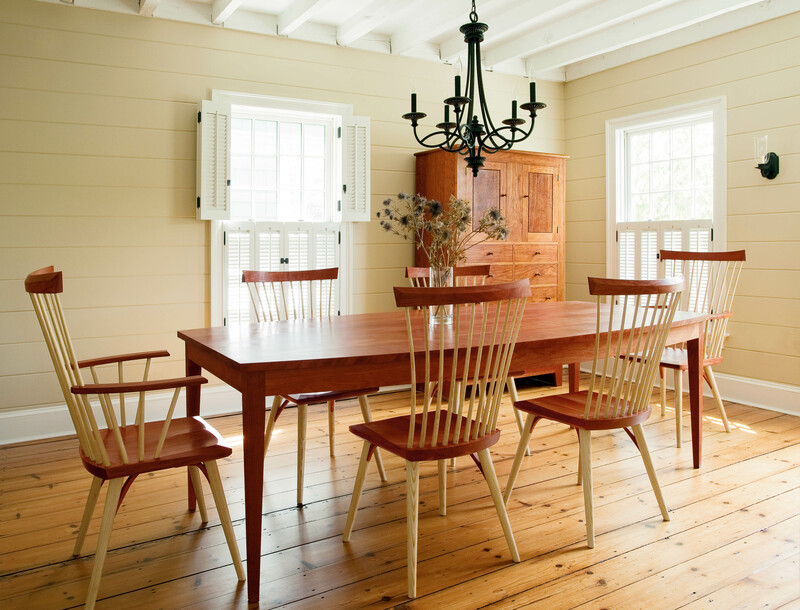 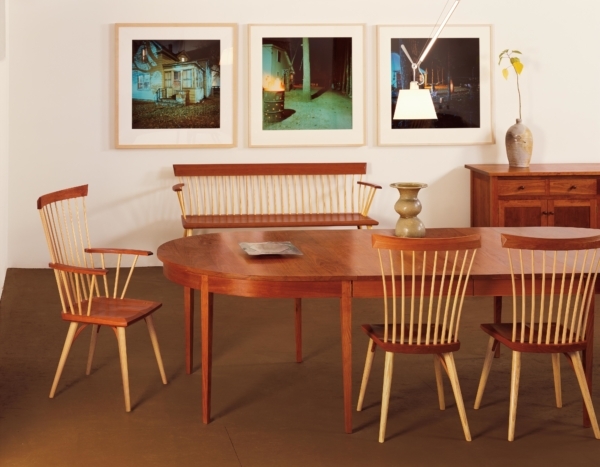 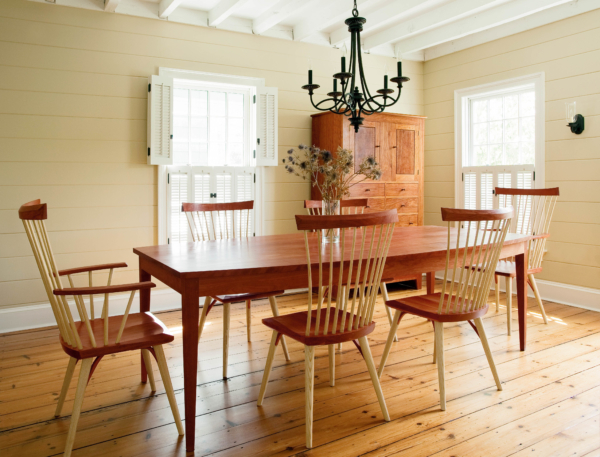 Crafted with carefully sprung spindles and sculpted seats, our Eastward Chairs recall the Shaker tradition, with thoughtful Moser updates that eliminate spreaders and reduce overall mass. 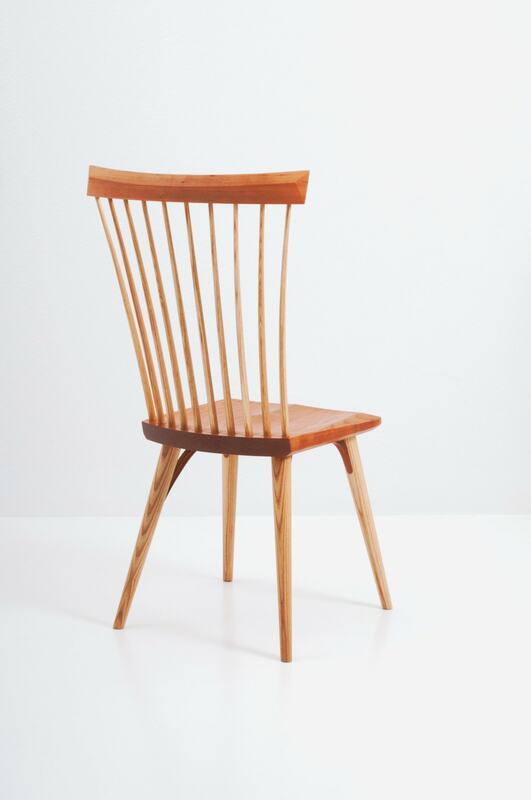 In the Eastward Side Chair, the sum of four legs, a seat and a back come together in a unity of strength, stability, grace, comfort – and great beauty – in one timeless form. 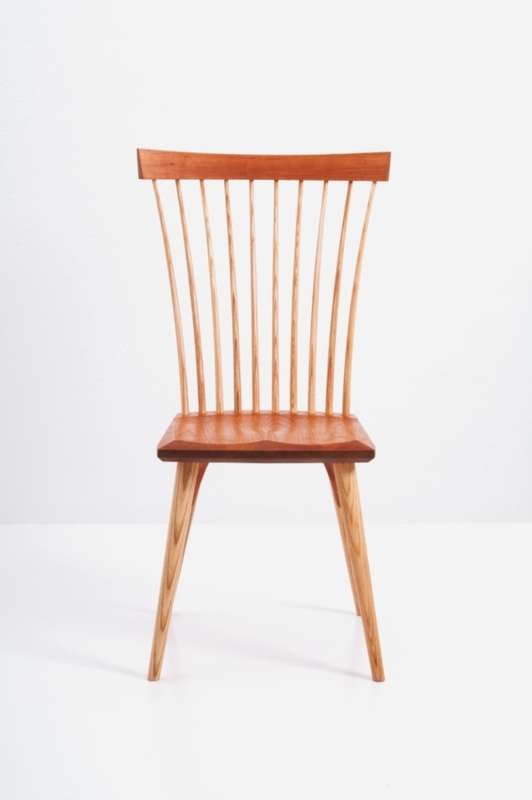 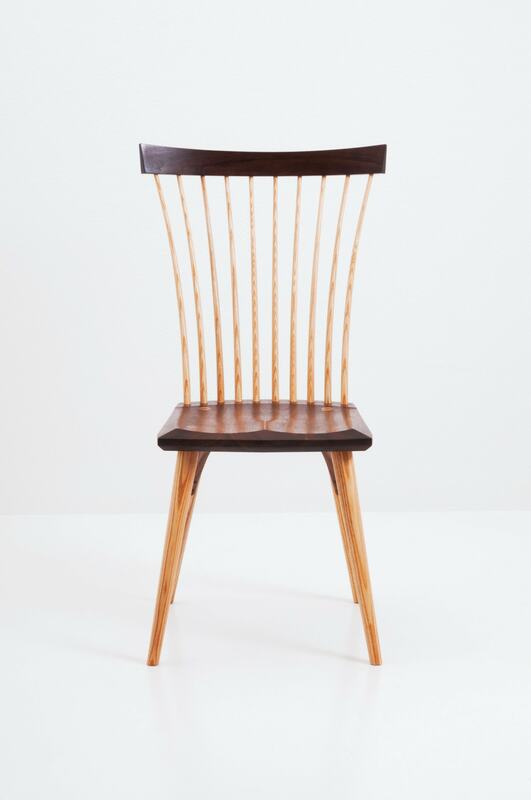 The springiness and careful placement of the ash spindles provide subtle flexibility, making this chair one of the most comfortable we’ve ever made. 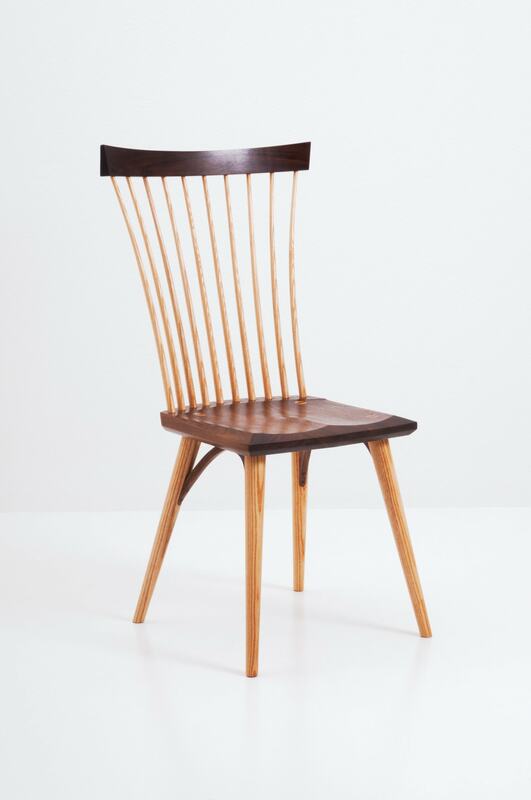 Contrasting dark and light in walnut and ash or cherry and ash, the Eastward Side Chair’s confident simplicity stands firmly in that perfect balance between design and craftsmanship and is a quiet companion to any dining table – in any dining space. 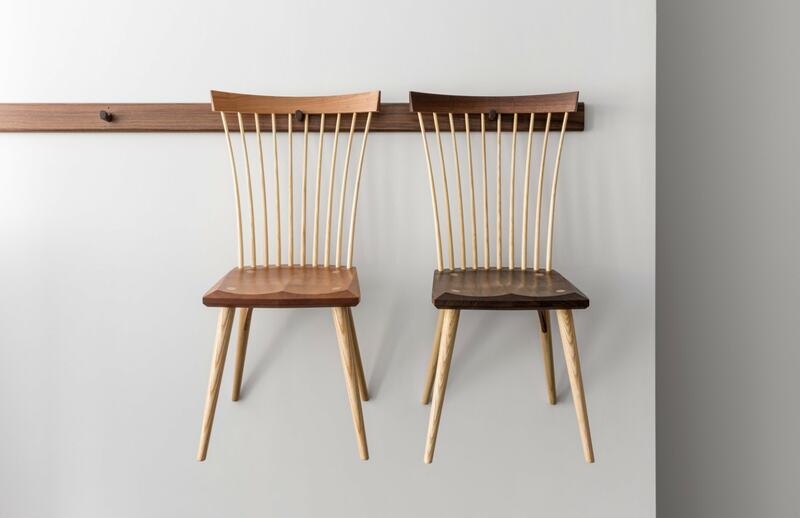 A natural complement to the sibling Eastward Arm Chair, these seats combine both grace and purpose, ensuring their heirloom quality.